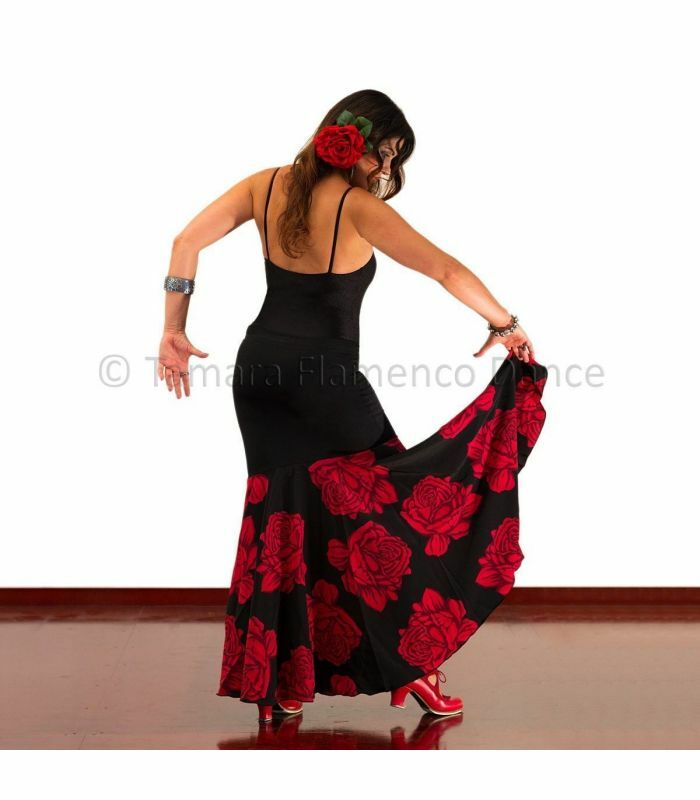 The koshivo red roses flamenco dance skirt model Granada in koshivo is one of the most exclusive designs of this wonderful flamenco skirt. 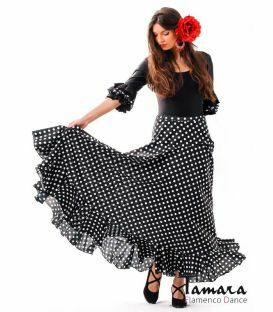 This is the fitting body as is common in this model, but the skirt is made of koshivo fabric with a beautiful print of red roses. 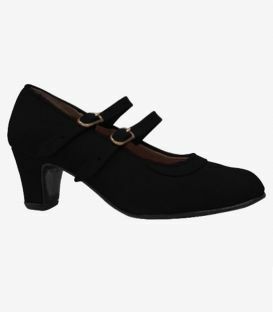 It certainly adds a touch of elegance to this versatile model that is a perfect choice for beginners who want a model that fits what they need but with a beautiful print and with which they can vary within their basics. 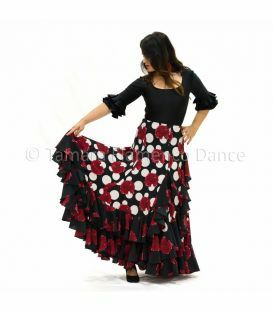 The koshivo fabric has a beautiful drop and a very soft touch, an authentic taste for dancers who want to feel special with this model on stage. 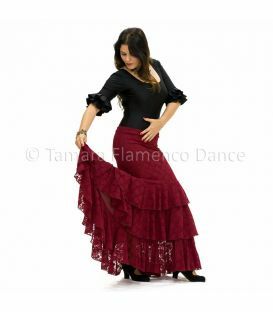 This high quality dance skirt is 100% made in Spain. - Contact us to know our in-stock items. If it is available, this product will be sent from our warehouse within only 24 h (working days). Available products can be returned . - If it is not available, manufacturing time for this item is approximately 20 days. It this case it cannot be refund as it is manufactured exclusively by customer request. 1- Measure your waist and choose the size that most closely match you. The fabric is elastic to fit. So for example, size M (74 cm) adapts perfectly to waists from 72-76 cm. * lycra and viscose are more elastic than velvet and knitted fabric. 2- Verify that length is appropriate. 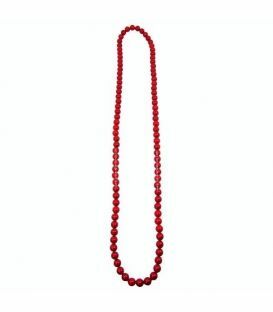 Length is usually very personal but it is recommended to use the distance from waist to ankle. 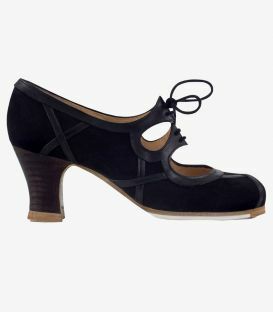 Note: Shown measures are used to choose the correct size but skirts not necessarily have the same ones. Víctor M. on 02/17/2018 Falda muy bonita, muy buen género y caída perfecta.